Middle Eastern infrastructure projects are at risk as the prevalence of counterfeit steel products grows in the region, an industry alliance warns. The Steel Alliance Against Counterfeiting (SAAC) is leading a crack down on fake products, from steel fittings to steel pipes, which it says is becoming a growing concern and poses a major safety, legal, environmental and financial risk. “The presence [of counterfeit steel] is real and represents a threat to the safety and integrity of this region’s current investments in major infrastructure projects. Not only are our businesses being defrauded but end-users are too and that exposes them,” said Andrey Burtsey, vice president of sales at Interpipe and an Alliance representative. 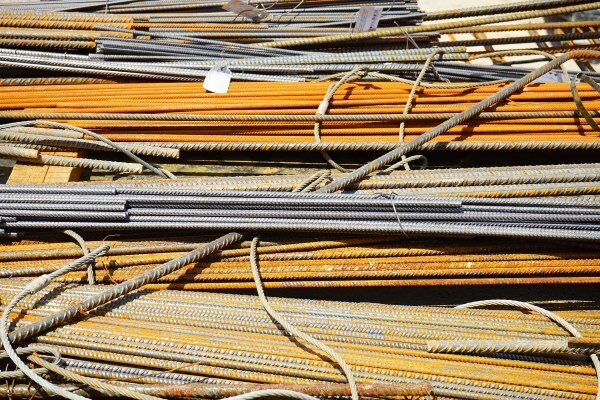 The concern follows the recent emergence of intermediaries that claim they have legitimate European products, licence registrations and/or manufacturing facilities but whose products have become difficult to trace, said the SAAC, which is an industry initiative composed of 17 global steel product manufacturers. Many areas of the Middle East are emerging economies and a large amount of money is being pumped into infrastructure in the region. Dubai’s crane-filled skyline is one example. In January this year, China pledged $55bn in infrastructure investment to the region, and in 2014, Saudi Arabia alone initiated a $400bn infrastructure programme. The construction boom has increased competition and has resulted in a counterfeit black market, including fraudulent branding of non-certified steel and used steel products being advertised and sold as new. Much of the counterfeit steel is allegedly being produced in Asia. The Alliance believes that while accurate figures of the counterfeit steel market are hard to come by, it could be worth several millions of dollars. It is calling on authorities to increase scrutiny and regulations to improve transparency of the supply chain. “This dark industry is putting reputable domestic and international manufacturers at risk because the counterfeiters are able to out-compete the market on price. While we understand costs are important, product quality and safety must never be compromised,” said Dr Carlo Farina, managing director at Friedrich Geldbach, another Alliance representative. The SAAC said it is looking to intensify its awareness campaign – the Fight Fake Products Initiative – and work collaboratively with authorities in order to crack down on the illicit practice before it becomes more embedded in the region and globally. The Alliance has already pledged its support for ongoing revisions to the UAE Fire and Life Safety Code of Practice 2016, specifically the need for authenticity checks, and has also met with Dubai authorities to discuss collaborative efforts to fight steel counterfeiters and stop fake products entering the market.